so book or get your gift vouchers now. 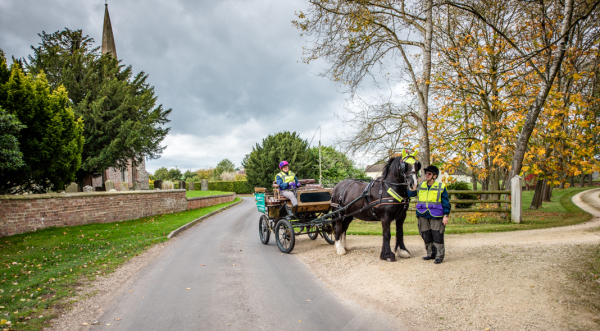 Take a Carriage Driving Experience around country lanes. This includes the opportunity to learn to harness up (for those who wish to be more hands on), putting the carriage on the pony (setting to), unharness and for those with prior equestrian experience maybe the opportunity to take the reins. Step Back in Time and enjoy a gentler pace of life! Enjoy a relaxing morning or afternoon, unwinding and remembering when life moved to a slower rythm of life. Enjoying the fresh air and beautiful countryside, the possibiltiy of seeing some wildlife on the way. 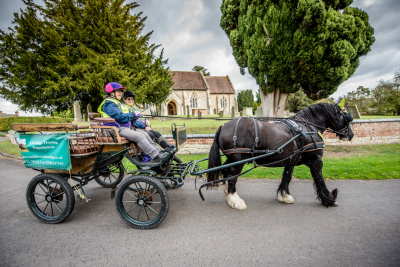 There are a variety of different options for your carriage driving experience. We are always happy to discuss your requirements and if you do not see exactly what you want if possible we can see if we can meet your requirements. We have a variety of different Vehicles ranging from two wheelers used for one to one driving sessions, dressage and cones practice. Four wheelers can carry from 3 to 4 people ( Driver, Groom and 1 or 2 passengers). 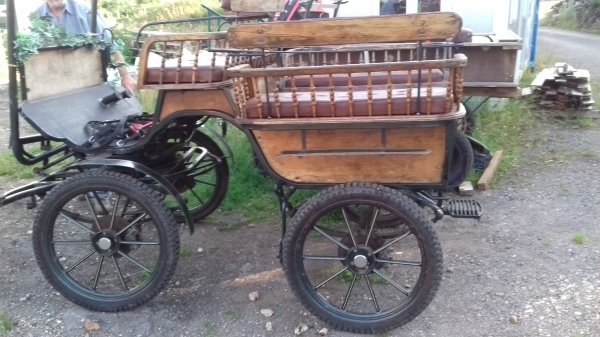 Traditional Wagonette which carries up to six people (driver, groom and 4 passengers. 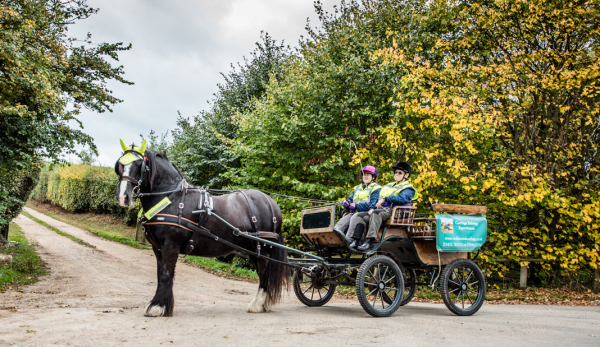 This can be an introduction to carriage driving where you can sit and enjoy the view or can be run as an introductory one to one session to suit your needs. Clients can learn to harness up, hold the reins and longrein a horse or pony. Children must be accompanied by a reponsible adult. 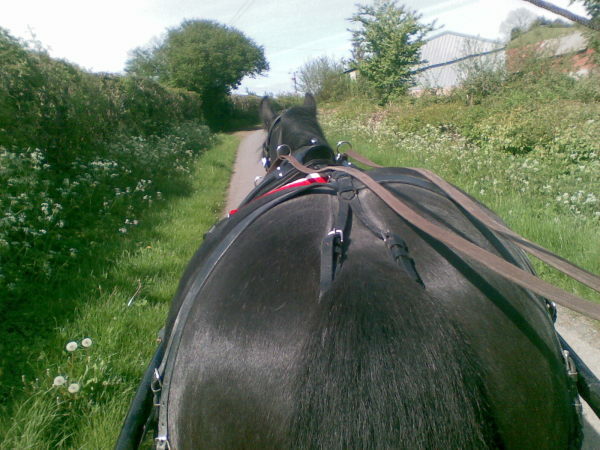 A fun 2 hours of Challenges learning to harness up your horse or pony, hold the reins, long rein around a set of cones. Learn how to put your pony to the Carriage and then a drive around the cones . We can accommodate one to one, two people or groups of four. 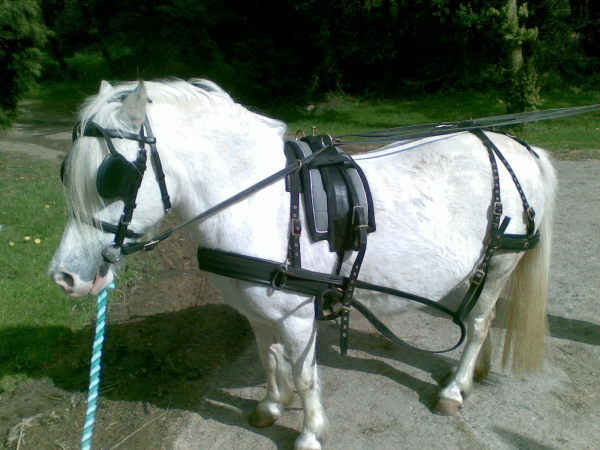 Start by learning to harness up if you wish, care and safety around the driving pony and carriage. A Drive out around Country lanes, with views across nature reserves on some routes. 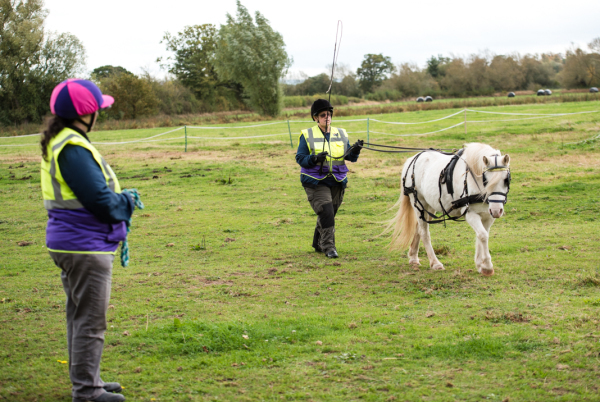 on return you have the opportunity to help unharness the pony and learn about the aftercare of the driving pony. Why not complete your experience by booking lunch or evening meal at a lovely local pub a short distance from our base. Enjoy views across the River Severn and home cooked pub food. We have a variety of options available so call us to discuss your requirements. For those wanting to experience a longer Carriage Drive, you can either bring a packed lunch or book lunch at one of our local country pubs on route. 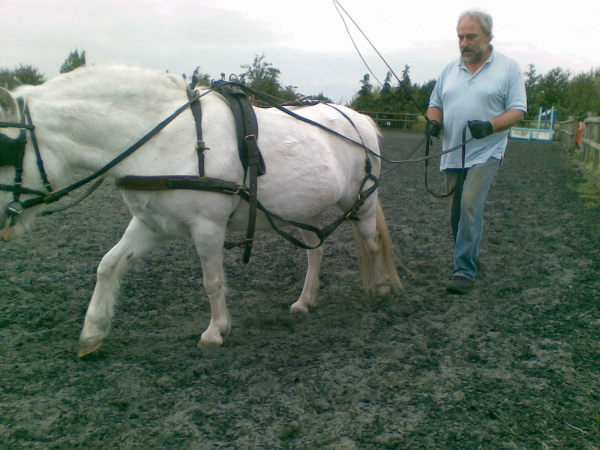 For those who wish to learn more about Carriage Driving you can start by learning to harness up for long reining, hold the reins and do some long reining in the morning. 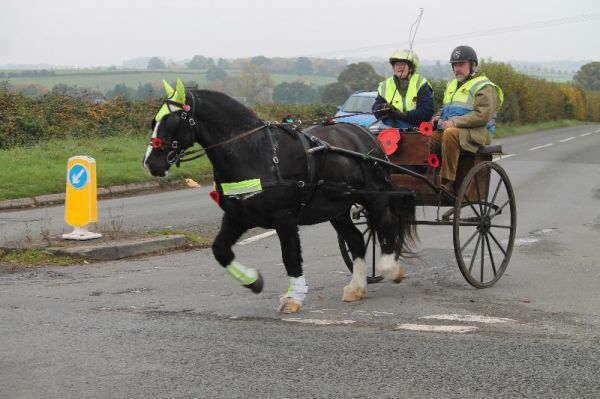 After lunch, learn to Harness up for driving, put the pony in the carriage and do some driving around some cones which maybe followed by a drive out time and weather permitting. We operate a dual rein system on these occasions and participants are asked to bring correctly fitted riding hats sensible shoes and gloves. 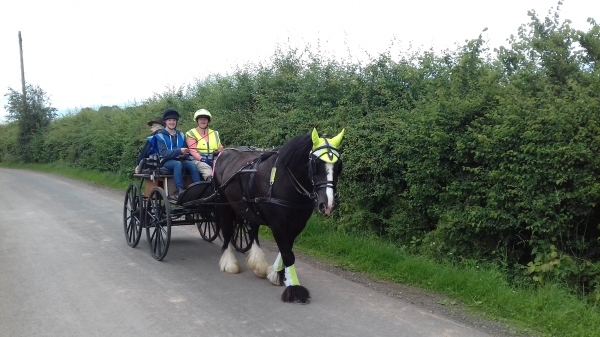 For those who wish to learn more about the care of the Driving Pony maybe to complete a Pony Club Badge, Prince of Wales Certificate or just for the experience. come and help for the day. You must have had some experience with horses and bring Hard Hat, Sensible Shoes or Wellies and Gloves. Duties will include grooming, poo picking and care of the harness and carriage along with harnessing up and how to hold the horse or pony in harness.